The Vol. 7, No. 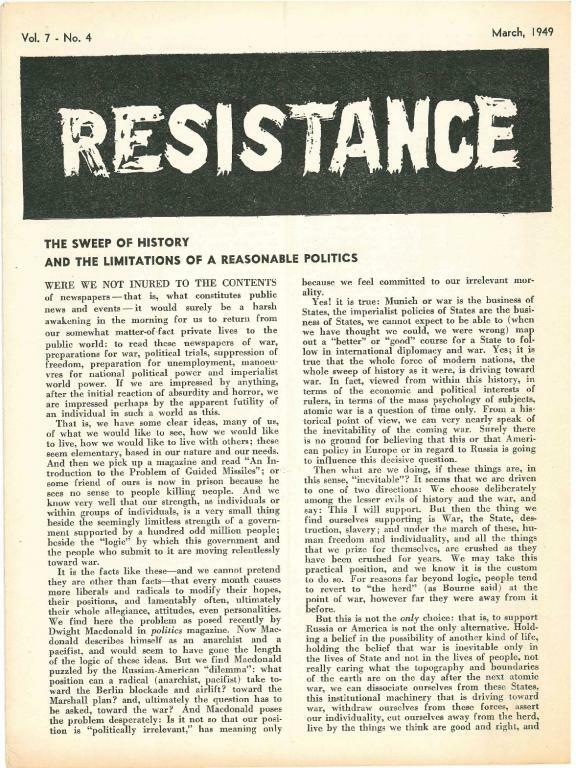 4 (March 1949) of Resistance, an anarchist publication produced out of New York. -The reasoning men by C.A.G.